← Kingsport: Wintertime is here! Every once in a while, but not too often, you meet someone with whom you feel an immediate sense of respect, love, and connection. 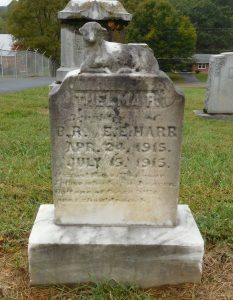 That’s what happened to me in October when I was photographing a cemetery in Sullivan County, Tennessee, for FindAGrave. It was my second trip to the cemetery and while I was there a man came up the drive riding a tractor with a shovel attachment. When I completed the quadrant of the cemetery I was photographing, I went over to him so I could compliment him on the condition of the graveyard. As a member of the cemetery committee, he was digging a hole for the internment of a homeless person’s remains and explained Immanuel Lutheran Church makes room for and absorbs the cost of a quarterly memorial service for several less fortunate souls. 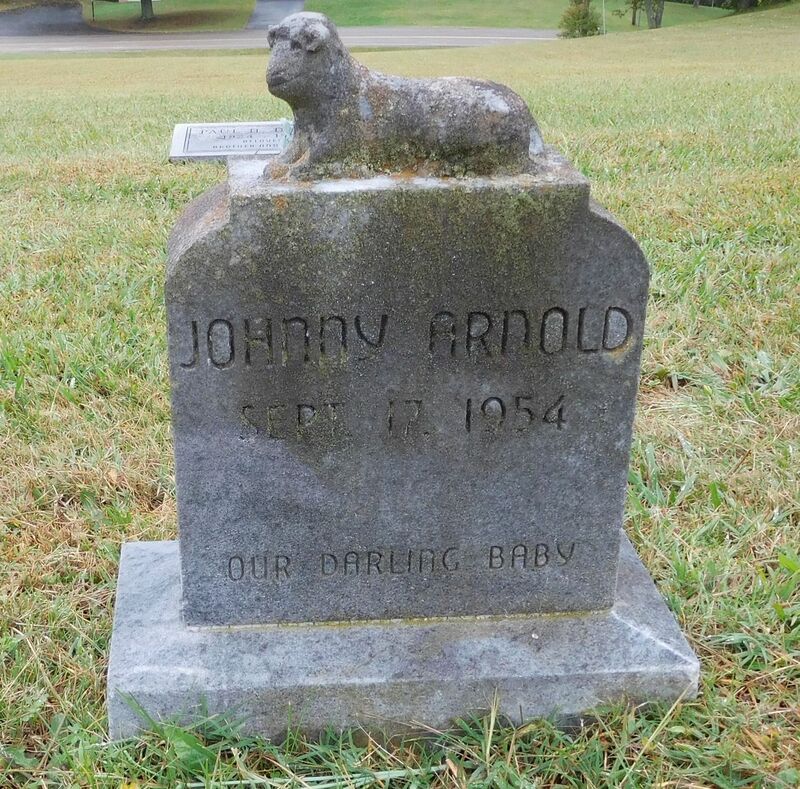 I told him how touched I was that most of the grave stones for infants had names on them. This is very unusual for cemeteries in the area. He smiled and agreed that to name a baby who lives only for a few minutes or days demonstrates a certain faith that is quite reassuring. This is when I knew I liked him. 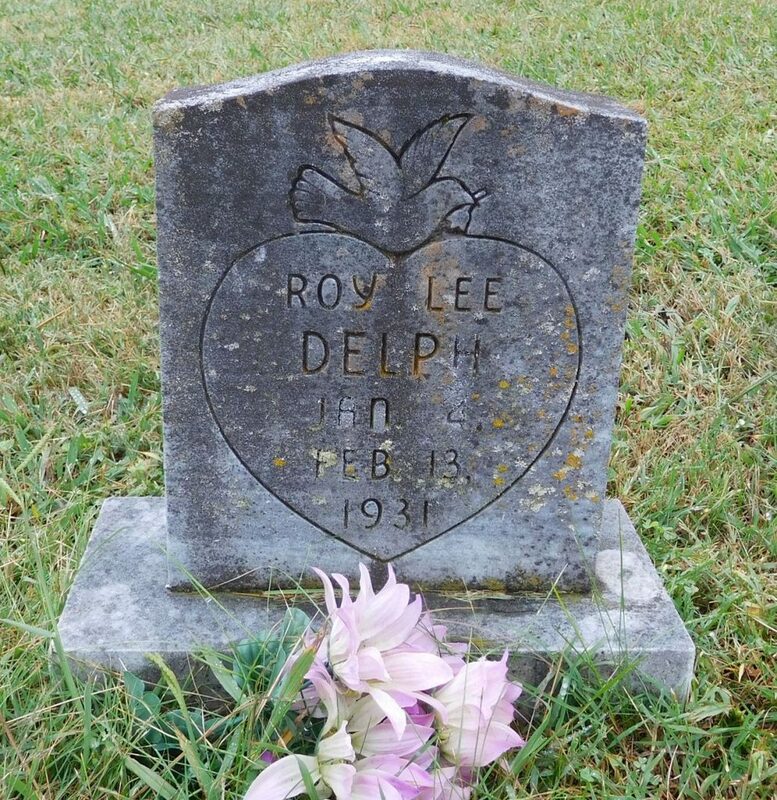 He asked if I would like to see the church sometime and told me a bit about its history, pointing out the original cemetery across 11W located on farmland. Absolutely, I was interested. I asked if it would be all right if I wrote about it for my local history blog. He wrote down his name and number on a piece of paper and I went home smiling the entire way. And that, my friends, is how this field trip came about. 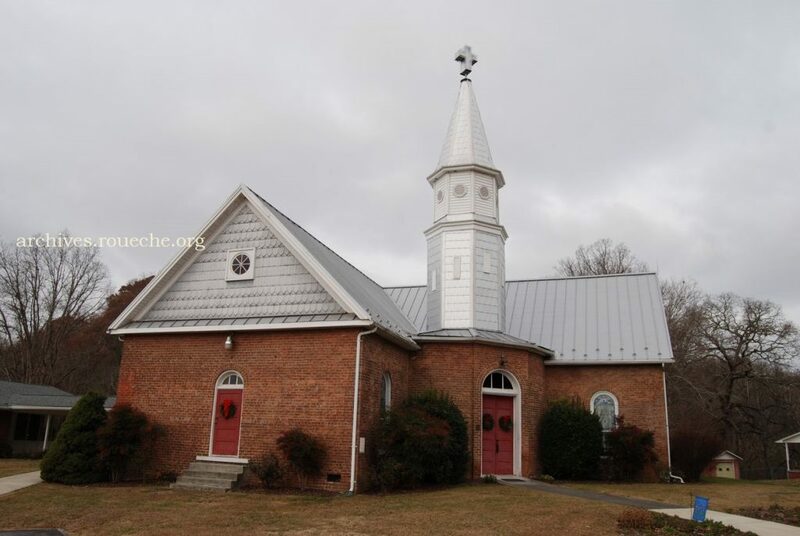 Immanuel Lutheran Church was founded in the early 1790s (Tennessee did not become a state until 1796) near the banks of Reedy Creek. It is just 4.3 miles north of the old Blountville Courthouse. 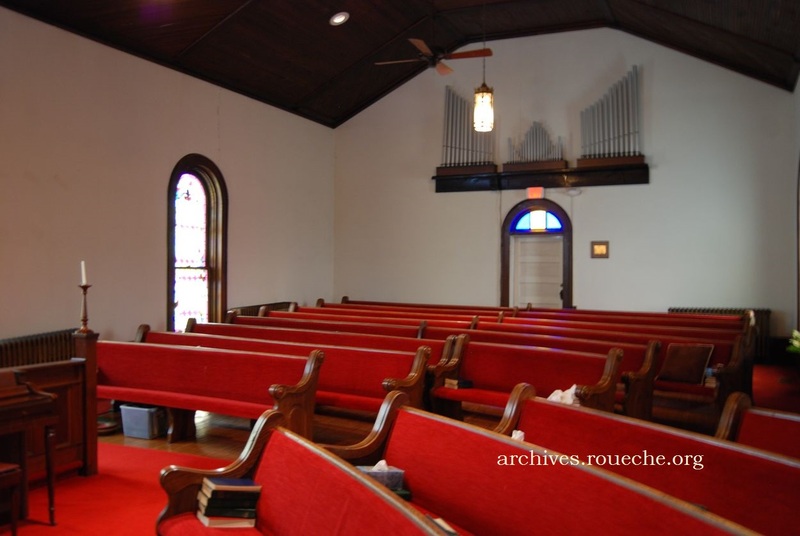 Originally a joint venture between the Lutherans and the Presbyterians, it was known as Union Church. 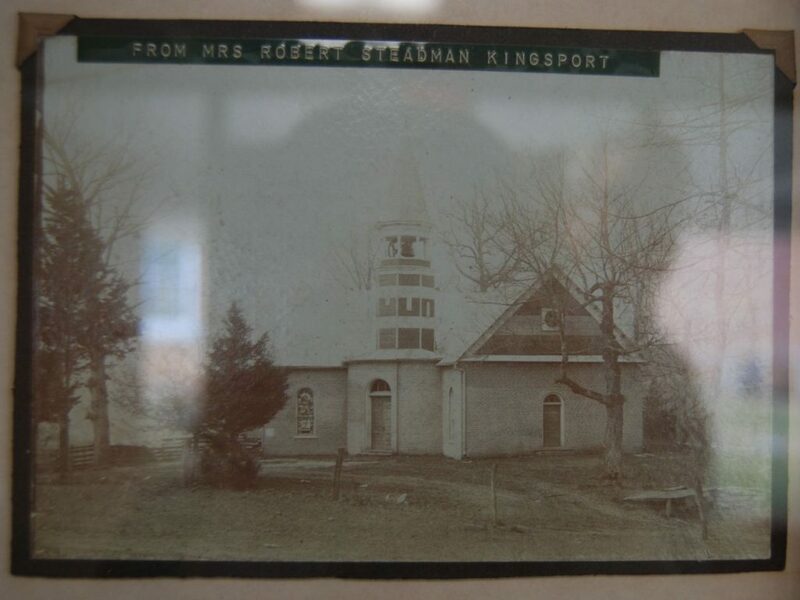 Congregants met together in a log structure until the Presbyterians could build their own chapel just west in the Arcadia area. The earliest records documenting the exact dates were lost in a fire, but the members were served by itinerant preachers until 1818, when Rev. 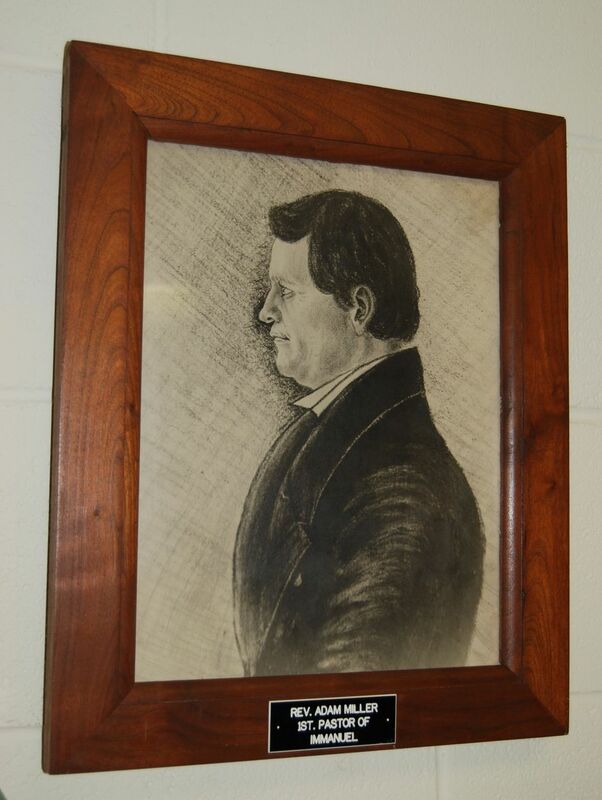 Adam Miller Sr. took up residence in the county. I was so impressed with the way Immanuel members cherish their history. Photographs, articles, and charts adorn the walls. Reunions are held periodically and histories are collected. The display of these items made it easy for Randy Smith, my guide, to explain the history as he showed me around the property and through the buildings. 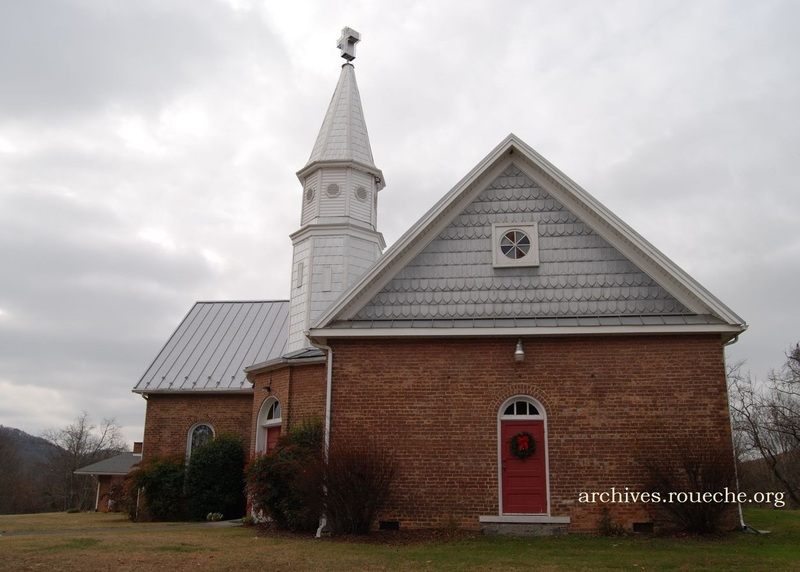 The second church built by the Immanuel Lutheran congregation was a wood frame and hewn-timber construction, c. 1810. The third building, which also served as a school, was made of brick in 1865, and the fourth and current 1903 structure was also made of bricks that were fired just 1/4 mile away from where we stood. 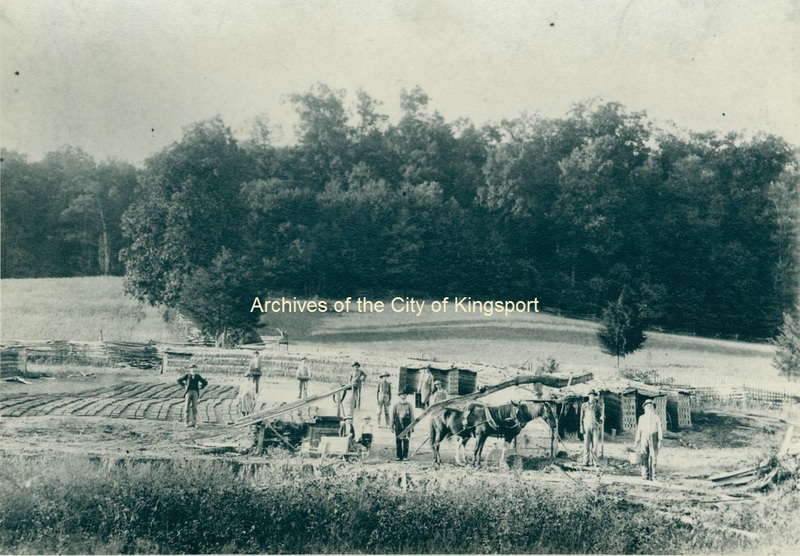 The above photograph of eleven men and two boys brick-making was acquired by John Denton for the publication of Historic Sites of Sullivan County and is part of the Spoden Collection at the Kingsport Archives. Following is a transcription of the slightly confusing description on the back. 9- Wm. Benj. Denton (wearing turtle shell hat); 11- W. G.
On the left side of the photograph, you see the bricks laid out to dry. In the center and to the right, you see bricks stacked up in racks ready for firing. Cain Pottery was started by Leonard Cain at the turn of the 19th century. 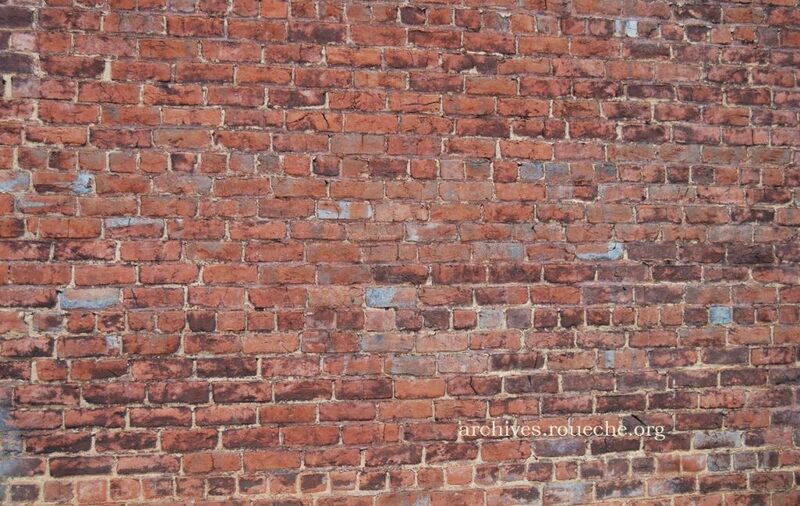 It was his grandson-in-law who oversaw the production of these bricks with the help of church brethren and others. The bricks are incredibly beautiful. 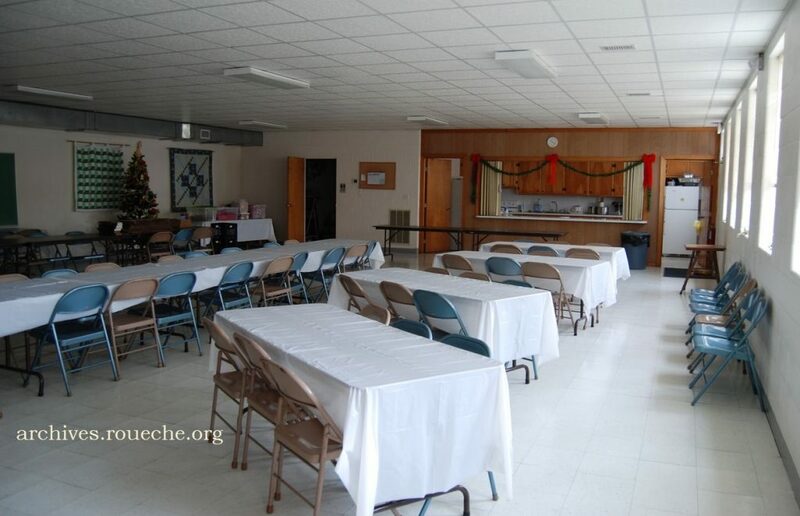 A classroom wing with basement fellowship hall was added in 1966. 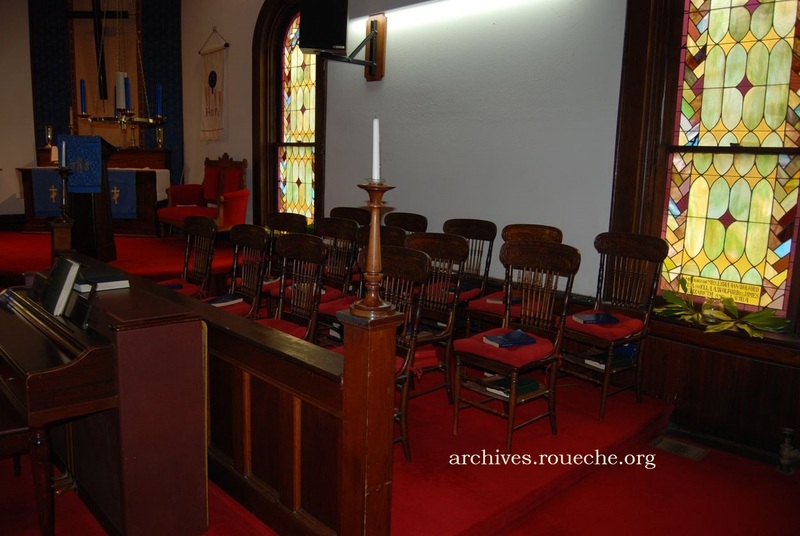 Very few changes have been made to the 1903 chapel. 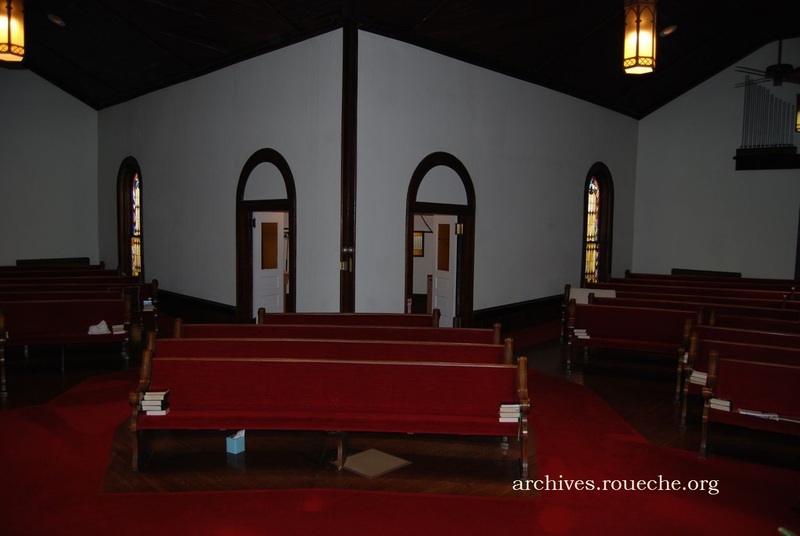 Inside, the pews (c. 1911), hardwood floors, and layout are the same. Just a few modernizations to the heating and electrical systems have been made. 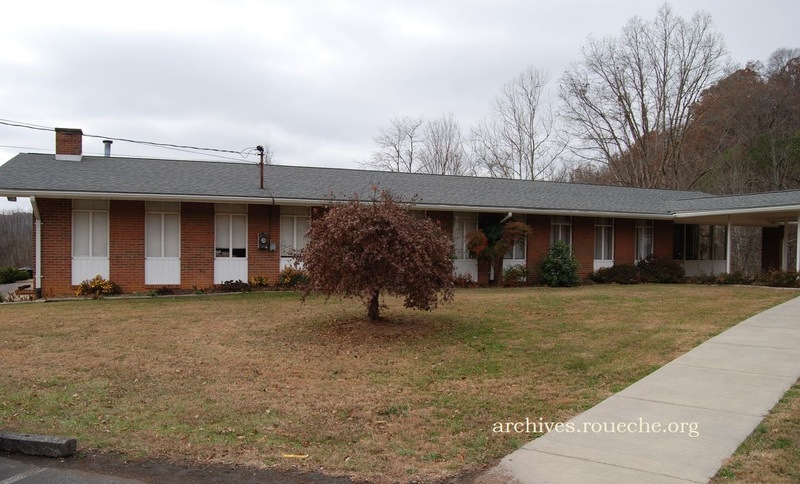 Outside, the window placement, bricks, and siding are all original. The bell tower, which was once exposed, has undergone the most alteration. Here are three photographs that demonstrate the transformation. The bell can be seen in the photo above. Notice the buggy ramp, in the lower right, that once assisted ladies as they stepped down from their carriages. In this 1930 Sunday school portrait the bell, itself, is still exposed to the weather. 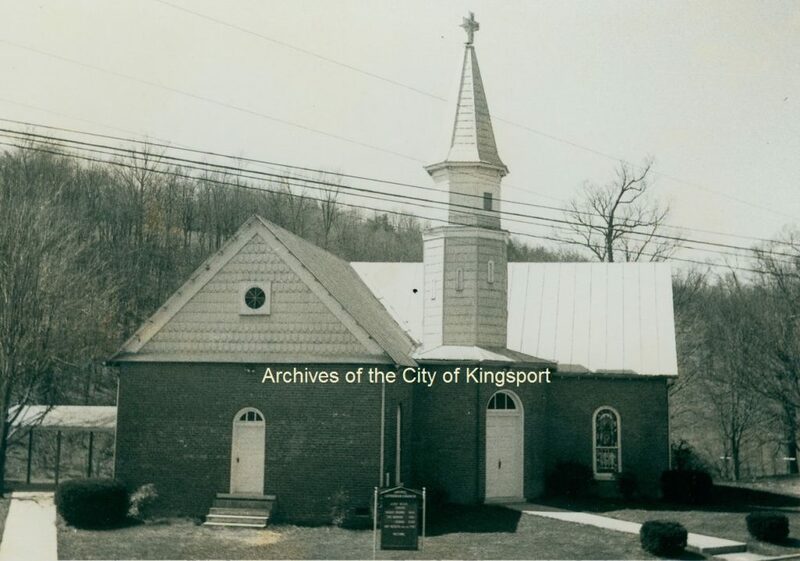 This c. 1971 photograph (also from the Spoden Collection, KMCM 516) shows the bell tower completely encased in siding. 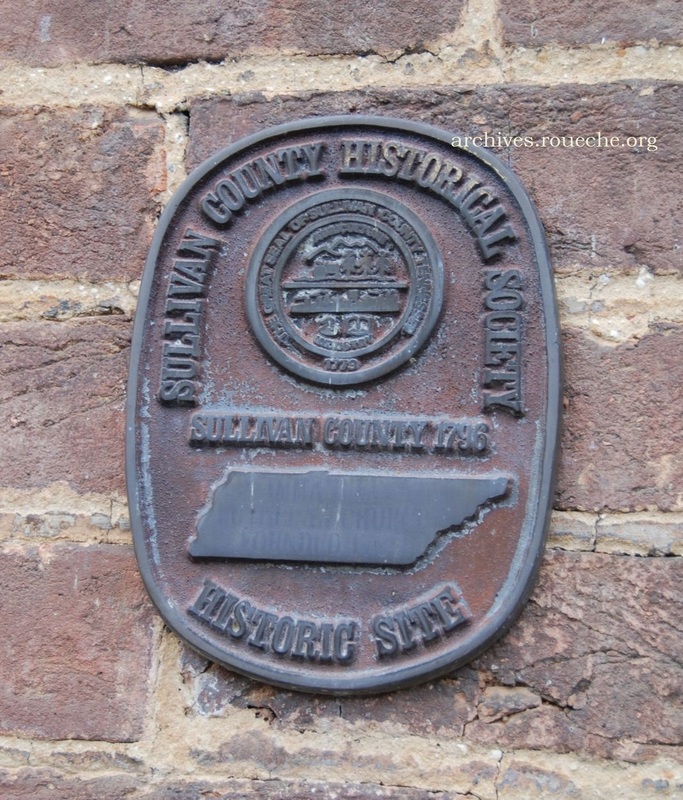 The Sullivan County Historical Society designated the church as a historic site. 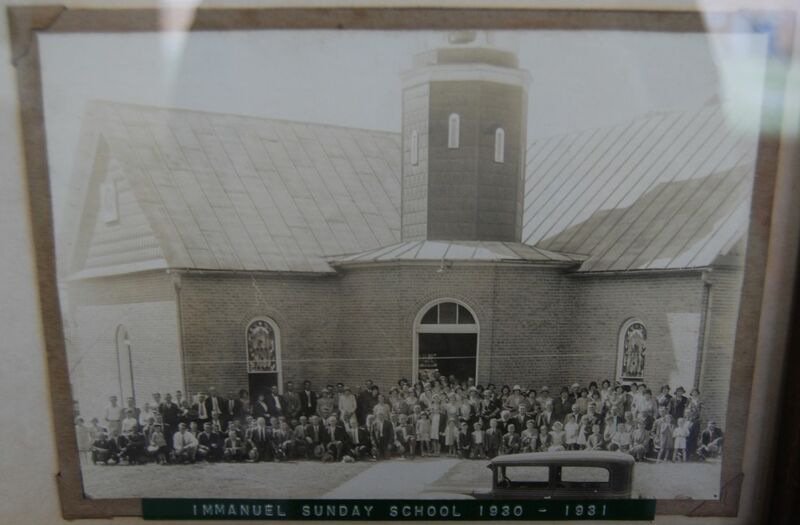 Immanuel Lutheran Church is generally accepted as the oldest continuous congregation in East Tennessee. 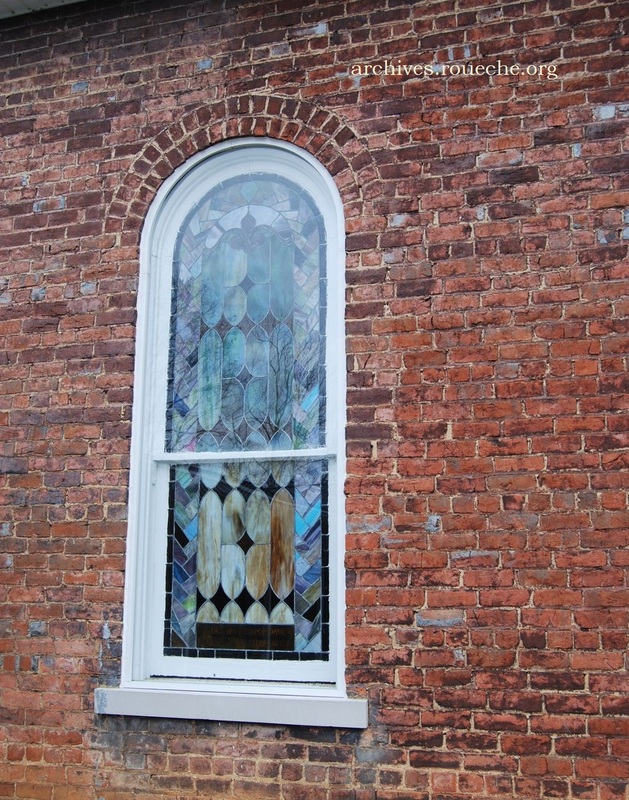 Acuff’s Chapel (a restoration which is no longer in use) and Adams Chapel UMC in Blountville are from the same era. Here is another view of the exterior. 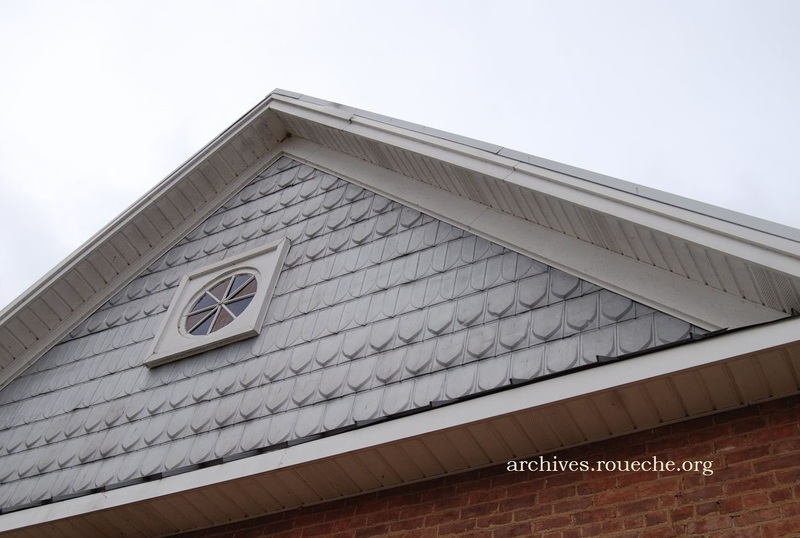 And, below, one of my favorite architectural elements. 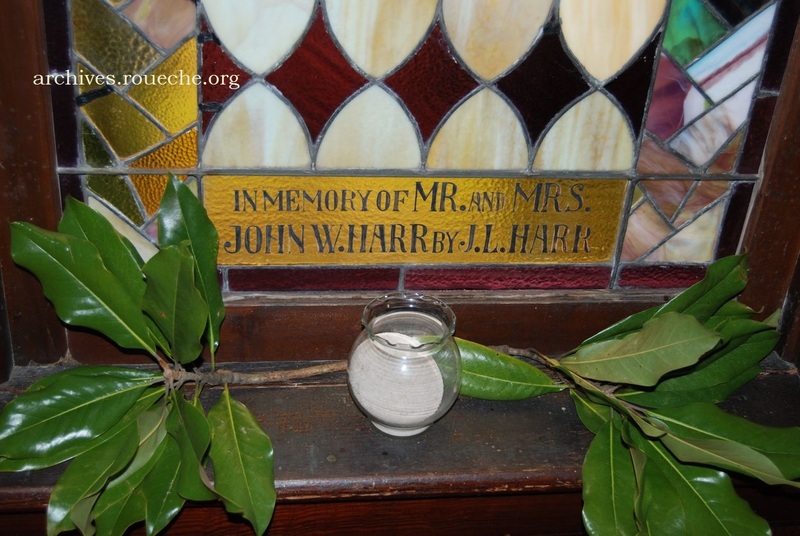 We stepped inside to survey this lovely old chapel with its curved benches and beautiful stained glass windows. The view from the pulpit looking at the left side of the congregation. 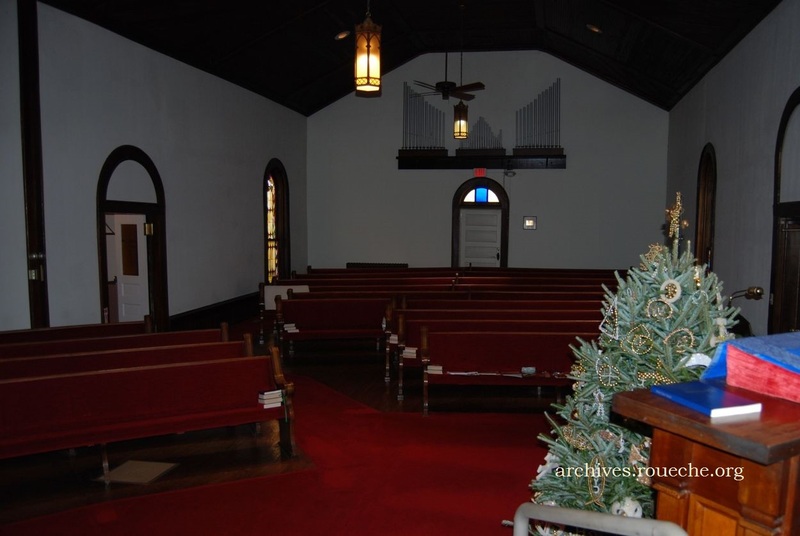 The sanctuary was originally designed to seat men and women separately. Looking straight back towards the vestibule, where my guide rang the bell for me. The bell was initially acquired for the 1865 structure. Looking to the right side of the congregation. The choir is located at the front between two of the beautiful dedication windows. It was explained to me that the original heating source was a stove to the left of the pulpit. That was later replaced by steam heat. 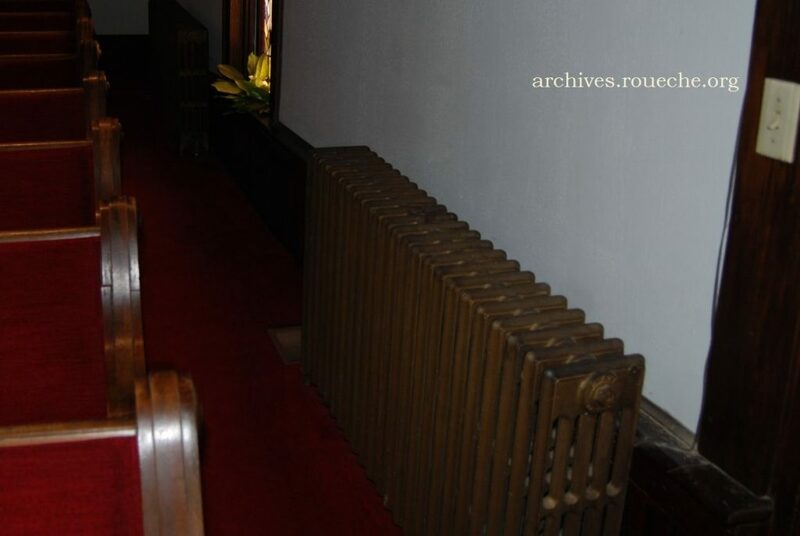 The radiators, decorative in their own way, still line the walls but the steam was replaced by central heat. The stove was removed and a doorway installed that opens to the breezeway leading to the education building. The windows are not only functional and inspirational, but tell the history of Immanuel Lutheran and its members, as well. 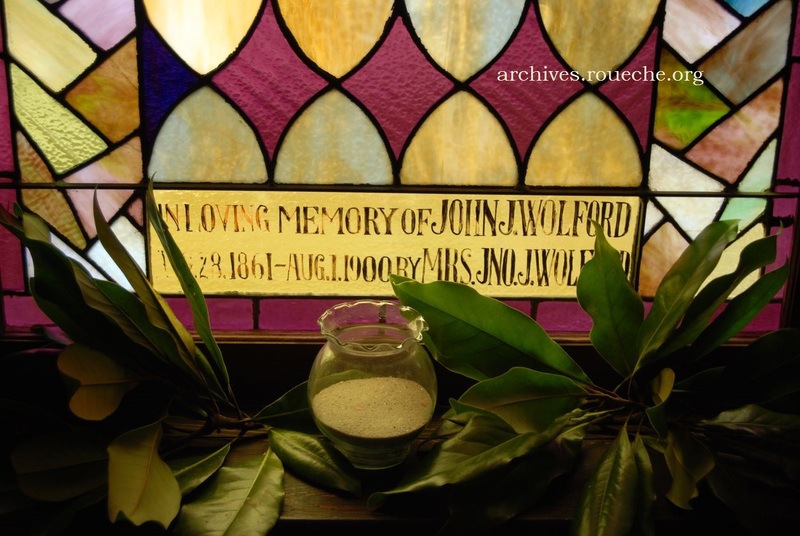 John J. Wolford (1861-1900) married Sarah Elizabeth Gale (1869-1933). 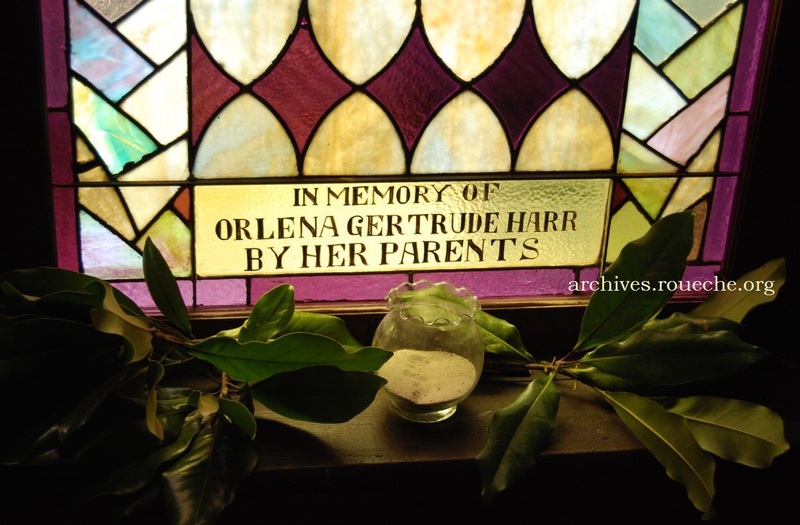 Orleana Gertrude Harr (1900-1903) was the daughter of Charles Jerome and Ethel Mae Olinger Harr. 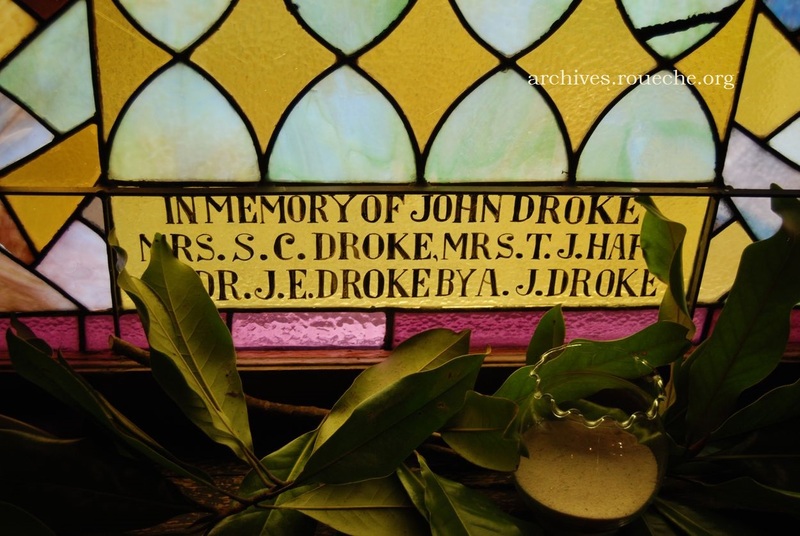 The Droke family members who are buried in the church cemetery. Next, my guide handed me off to the current pastor, Rev. Mary Louise Sitton, as it was time for him to take his “Sunday School ladies” out for a Christmas luncheon. Mary Louise had made copies of several church histories for me to study and allowed me to wander a bit more and ask a few more questions. Adam Miller, Sr., the first resident minister of Immanuel Lutheran. Rev. Sitton also shared the very good news that she has made contact with the current owner of the property south of Hwy 11W, where the older portion of the cemetery resides, and he is in favor of church members performing a restoration project, there. Very exciting. 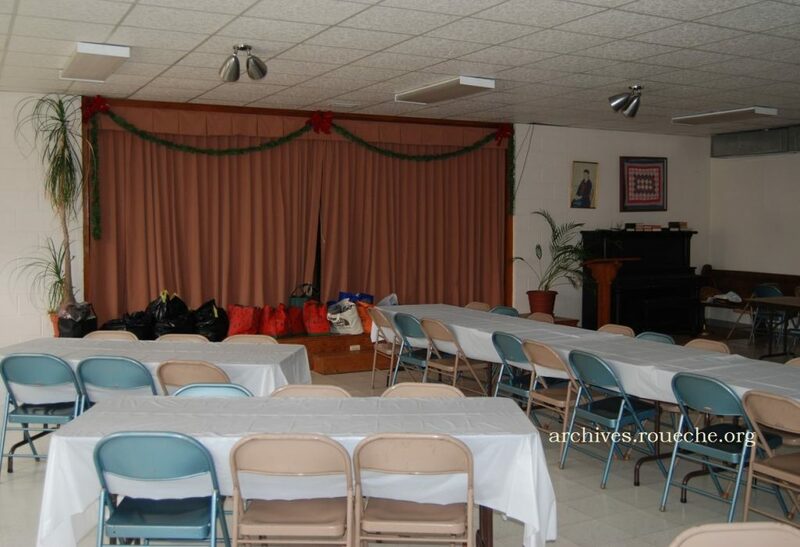 Two views of the fellowship hall, where historic anniversaries are celebrated and church socials are held, are pictured below. 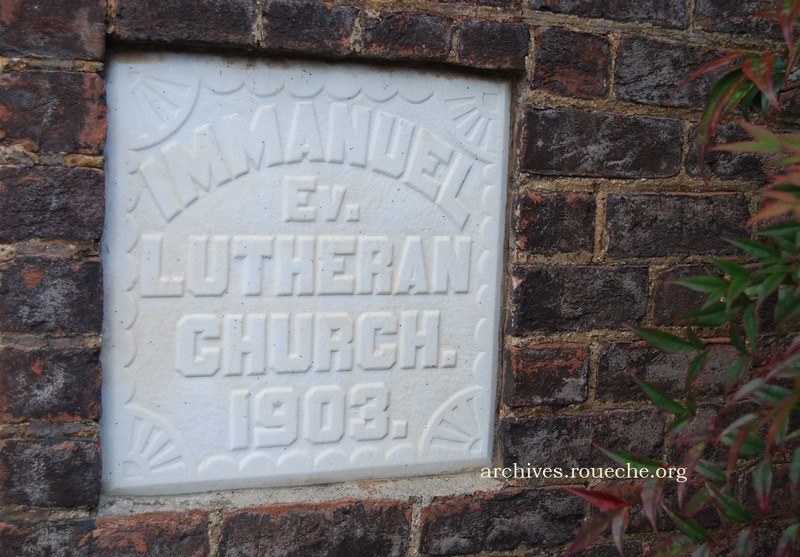 For nearly 225 years, in one way or another, Immanuel Lutheran Church has given residents of the area a safe place to gather to worship and serve their community. The fact that they make great efforts to preserve that history makes their story all the more worth telling. Today’s blog is dedicated to my dear friend Charlotte Anderson with a wish for a happy Christmas to her and to all my readers. Feature image: View of Immanuel Lutheran Church from the hill of the cemetery. 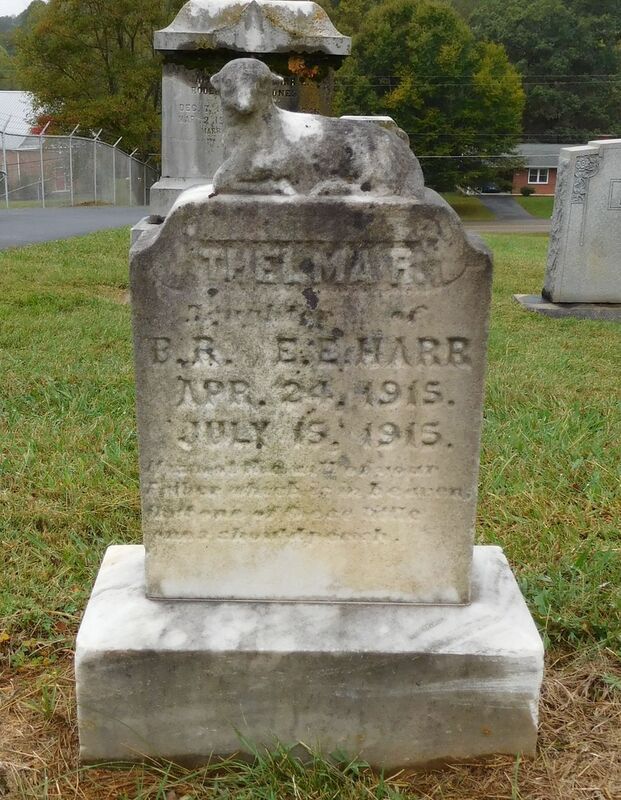 This entry was posted in Field Trip and tagged cemetery, churches, historic sites, Sullivan County. Bookmark the permalink. I really enjoyed the pictures and all the information provided. It adds to the depth of the church and members. Love this story! Thank you for sharing this great story. What a great story Kari. There are so many wonderful pictures, but I think my favorite is the one of the stained glass window and the bricks. Beautiful composition of beautiful architecture. What a great story about this church. 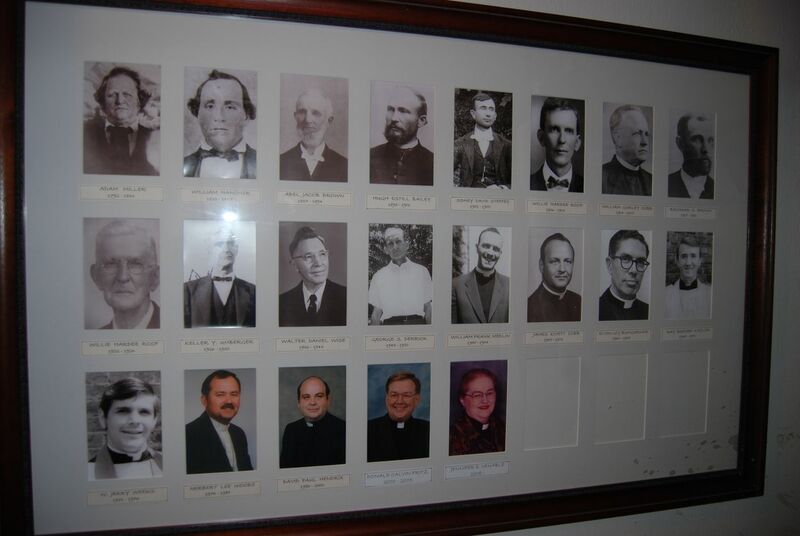 The pride the current members you spoke with have in their church is evident and the hard work of past and current parishioners is evident from the history they have kept so diligently. A very moving and beautiful history. Thanks Kari for all your good work.